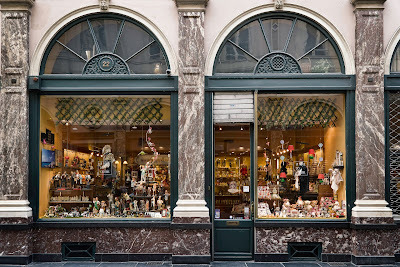 In 1857 Jean Neuhaus opened a pharmacy in the prestigious Brussels Royal Saint Hubert galleries. To give his medicine a better taste, he put a thin layer of chocolate around it. Jean Neuhaus Jr., inherited his father's passion for chocolate and came up with the ingenious idea to use a delectable soft filling instead of the medicine. That is how the praline was created in 1912. In addition, Louise Agostini, the wife of Jean Neuhaus Jr., created in 1915 the first 'ballotin', a gift box with a ribbon around it, in which the chocolates were sold. The Belgian pralines were presented as a real treat. 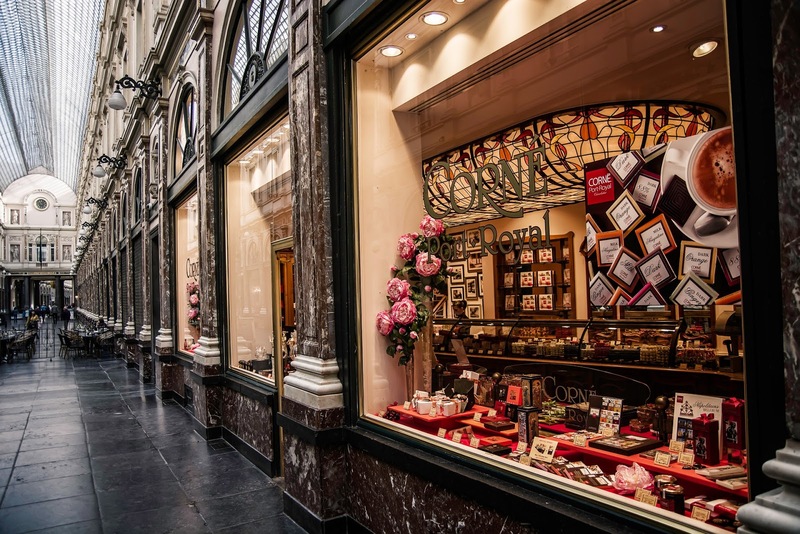 In the following years, the praline in Belgium boomed when chocolatier Charles Callebaut discovered in 1925 how he could transport liquid chocolate. Ten years later, Basile Kestekidès (a relative of the founder of Leonidas) created the legendary Manon: a large praline based on buttercream with coffee flavor, with a layer of white chocolate around it. That delicious delicacy is still popular today. 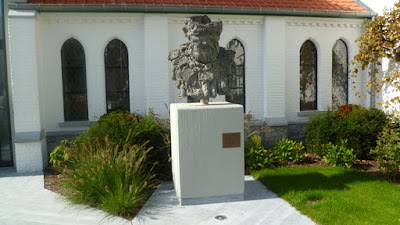 The statue of Pieter Bruegel the Elder was inaugurated in November 2015 at the Chapel Church in Brussels. It is a bronze statue made by sculptor Tom Frantzen. The statue was placed at the Chapel Church where famous painter is buried. Bruegel spent years of his life in Brussels and painted his most famous works there. But he did receive a lot of the respect of the city because he was a Flemish painter who had moved from Antwerp to Brussels. Even centuries later, French-speaking Brussels politicians sabotaged the installation of Bruegel's statue for more than 13 years. 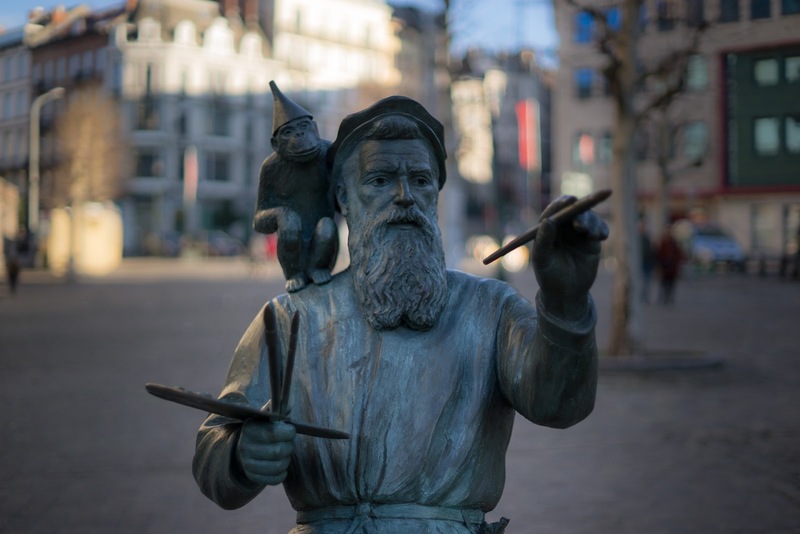 The statue suggests Bruegel with a monkey on his shoulder, a monkey with a funnel on his head, symbolizing the satirical spirit of Bruegel. The painter and the monkey look in the same direction. What is the artist painting? He paints the evolution of life, he observes, he transposes, just as he always did. You can find the statue of Pieter Bruegel the Elder at this address: Kapelleplaats 1, Brussels. Father Damien of Molokai Is one of the most influential Belgians of all time. He was born on January 3, 1840 as Jozef De Veuster in the small community of Ninde, near the town of Tremelo in Belgium. Later he became better known as Father Damien, a father of the Congregation of the Sacred Heart of Jesus and Mary (also called "Picpuspaters") for whom he was a missionary. He became world famous for his work and care for leprosy patients. He died on the island of Molokai on April 15, 1889. Later Father Damien became the patron saint for lepers and AIDS patients. His feast day is celebrated on May 10th. Today, his birth house is the setting for the Damiaan Museum. 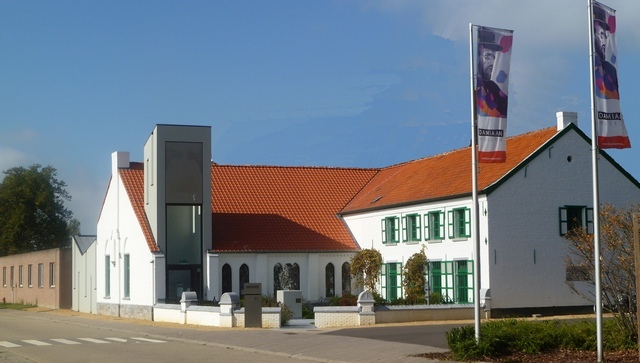 His family house was thoroughly renovated and expanded into an interactive and contemporary experience center that not only focuses on the past but also reflects on the current situation and the social significance of Damien's figure and his legacy. The new Damian Museum focuses on accessibility, multilingualism and experiential focus. The new experience center wants to inform, inspire, sensitize and engage. The Damiaan Museum is divided into six different zones for the visitor. Via objects, sound recordings and visual material you step into the life story of Father Damien. You literally get the feeling you can write his story yourself, alongside authentic Damien objects, such as his own carved altar and numerous personal items and pictures. In the museum you can also admire some paintings by Edward Clifford These works of art are on the Flemish Top-list of paintings. You can find the museum at this address: Pater Damiaanstraat 37, Tremelo, Belgium.